Even Bernie Sanders gets it. The socialist senator and 2016 presidential candidate blew up at a reporter who asked a familiar question. The boiling point for Sanders was reached when he was asked about who he thought would run for president in 2020. Sanders, who wrote a book on his campaign called Our Revolution, said the media should buck up and start reporting on issues such as climate change, wages and crime. “Those are the issues the American people need to be engaged in. 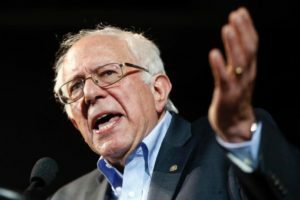 To start talking about who’s going to be running in 2080 … I don’t mean to be rude, but the American people are tired of that, they really are,” Sanders said at a roundtable sponsored by the Christian Science Monitor.